Posted in bank, Banking & Finance, Banknote, Dinar, Dinar Daddy, Dinar Guru, Dinar Recaps, Dinar Vets. UK-based banknote-printing firm De La Rue has been chosen to supply the substrate for the one dinar note, which will enter circulation later this year. Posted in bank, Banking & Finance, Banknote, Central bank, Central Bank Iraq, Central Bank of Iraq, Central Bank or Iraq, Economic News, Dinar, Dinar Daddy, Dinar Guru, Dinar Recaps, Dinar Vets. For the third day in a row, the crisis of what is popularly known as "Dinars Al-Aalak" continues after the issuance of the new version of the Iraqi currency categories 250 and 500 dinars and 1000 dinars and the name of the Governor of the Central Bank acting Ali Muhsin Al-Alaq, which is contrary to the law that restricts the signature through the words of the Governor of the Central Bank or Signing above the words governor only. The new "Arab" received information from informed sources, confirming that the Iraqi parliament will discuss, Thursday, during its scheduled morning the crisis of the new currency , while calling for deputies of the Sadrist movement and the Communist Party and the Axis Alliance to open the file of the Central Bank of Iraq fully and investigate charges The bleeding of the hard currency and the selectivity of the bank in granting work permits to exchange and transfer companies, and procedures for the sale of the dollar, as well as the reason for the survival of the post of governor by proxy. An official in the legal department in the Iraqi parliament for "the new Arab", it is scheduled to be opened these files during today’s session, and in case of any circumstances or lack of completion of discussions will be completed the next session on the requests submitted to the President of Parliament by deputies. The parliamentary official, who declined to be named, that the repercussions of the crisis put the central bank governor on the currency in contrast to the Iraqi law sparked a wide debate on the street, which led to the direction of Parliament to open the file of the bank as a whole. The governor of the current bank is a member of the Islamic Dawa Party led by Nuri al-Maliki, and took the post of acting governor in 2014 and was before Secretary General of the Iraqi Council of Ministers during the first and second Maliki. The issuance of the new Iraqi currency within the treatments of the crisis of cash and the damage of small currencies in the category of 250 dinars and 500 and 1000 dinars, and carried the new currencies, another change sparked a controversy, raising the verse "Say Allah is one" for the Iraqi currency, which is a tradition since the Abbasid state in Baghdad and until today , And was replaced by a painting of the marshes of southern Iraq, which are natural water bodies listed on the World Heritage List recently. Official in The Central Bank of Iraq confirmed to the "new Arab" that what has been offered from the banknotes actually in the market during the past days through government and private banks amounted to about 7 billion dinars, and there are about 40 billion more ready to put in the market gradually during the coming period all bear the name And there are other sums that will reach Iraq, also printed in Switzerland. The official, who declined to be named, added that another huge amount of the new currency was due to drop to the Iraqi market in early November, but there are doubts about this possibility because of strong opposition by parliament and demands to withdraw what was removed to the market immediately. For its part, the Central Bank of Iraq issued a statement saying that "the bank has the right under the regulations to determine the categories of currency and metals, paper and its dimensions, forms, material, content, weight, design and other features. He stressed that "the banknotes in various countries contain the signature of the issuing authority, which is the governor of the Central Bank. Some of them put the signature of the governor on his name, including the person who puts the signature without a name. The central bank cited the dinar currency issued in 1932, pointing out that this approach is adopted by the central banks of Egypt, Saudi Arabia, UAE, Lebanon, Turkey and others, so the Central Bank of Iraq decided to include the name of the governor when reprinting or issuing any cash, The trends found in the signature alone lack the significance required by the word (governor) on the banknote. While the move was considered a political propaganda for the governor of the Central Bank by proxy, members of the Iraqi parliament for the "new Arab" that the step indicates the weakness of institutions in the country to the extent that the government and parliament not aware of the new model of the currency only after it was issued. On the part of the member of the Interim Finance Committee in the Iraqi parliament Alia Nassif, the "new Arab", that "there Law The governor and the central bank must be adhered to and there is no provision in the law indicates that the name of the governor may be added to the currency in addition to signing. "Therefore I wish that the Governor of the Central Bank would not go in this direction because the perpetuation of the name shall be the work and the disengagement of the Central Bank of the existing pollutants either in the currency or the opening of private (private) banks absurdly … These are the acts that perpetuate and not the name in the banknote, Nassif. for his part, MP said the national coalition Raad Aldhlki, for "new Arab", he said that if there were a real state of institutions there was a transparent debate on this subject with specialists in this field in order not to fall into these obstacles which we hope will not be negative repercussions on the people Iraqi and not be paid for through the worsening ofliving. Aldhlki explained that " The Iraqi parliament will issue a clear and explicit decision by themeeting, on Thursday, what he sees fit to contain this and treat. " 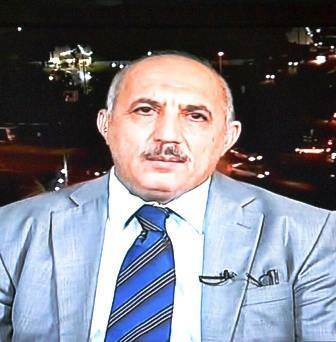 Meanwhile, the Iraqi financial expert said Ahmed al – Hamdani for" new Arab "
Al-Hamdani pointed out that the Iraqi currency is printed in Switzerland and the state costs large amounts in hard currency and can be considered as a net now because withdrawing or destroying it means losing large amounts of money to Iraq, but at the same time the central bank governor and its board should be held accountable not only for the currency but also for charges and defaults Many people talk about, from specialists and observers since the transformation of one of the most important positions in the Iraqi state from the position of Mali to another political, according to his saying. Posted in Abbas, baghdad, bank, Banking & Finance, Banknote, Central bank, Central Bank Iraq, Central Bank of Iraq, Central Bank or Iraq, Economic News, Committee, Corruption, Currency, Dinar, Dinar Currency, Dinar Daddy, Dinar Guru, Dinar Recaps, Dinar Speculator, Dinar Vets, Egypt, Iraqi Economic News. The Council of Representatives is seeking to start an investigation with the Central Bank’s administration during this week on three files. The first concerns the sinking of seven billion dinars in Rafidain Bank, the second with the corruption of the currency window and the third with the cost of building the new Central Bank. A member of the Finance Committee in the House of Representatives Jamal Couger in a statement to (the extent) that "the Presidency of the House of Representatives commissioned our Committee to follow up the drowning and waste of funds in Rafidain Bank and funds allocated to the building of the new Central Bank." The House of Representatives last week formed a fact-finding committee on the project of the new building of the Central Bank of Iraq and the sinking of seven billion dinars in Rafidain Bank. The cost of building the new bank 800 million dollars, and design up to 30 million dollars, where these figures raised large reactions within the House of Representatives and a large criticism against the administration of the Central Bank of Iraq. "In the beginning there were intentions to the presidency of the parliament by adding three members of the committees of legal and impartiality to the committee composed of members of the Finance Committee parliamentary to investigate the files of the Central Bank," pointing out that "the Presidency of the parliament finally reached a complete conviction to refer the file fully to Parliamentary Finance Committee ". The governor of the Central Bank Ali Al-Aliq had confirmed before the House of Representatives on 12 November 2018 damaged nearly seven billion Iraqi dinars as a result of the entry of rainwater to the coffers of Rafidain Bank in 2013, which led to the damage of banknotes. As a result of this information, the Alliance bloc demanded that it be hosted again to hear the exact details of the sinking of the funds. The issue also raised the file of the new Central Bank building. and the second dedicated to investigate the sinking of seven billion dinars, and the third will be expensive To open a comprehensive investigation on the sale of currency auction. " The leader of the Sadrist movement, Moqtada al-Sadr, said in a tweet on his personal account in Twitter the incident of the damage of the amount of seven billion dinars, "a small point in the sea of ​​corruption and spoilers," where he said: "And their excuses only refuted and their survival only a number if the people expose them and corruption abhors them "He said. The Kurdish MP in the parliament that "the number of members of each of these subcommittees between six to seven deputies will be set timetables to host officials and administrators of the Central Bank to reach the truths. The Supreme Judicial Council announced more than 15 days ago Rusafa Court investigating the sinking of 7 billion Iraqi dinars by rain water, stressing that it will hold accountable all those who contributed to this process, which caused the waste of public money. MP Jamal Kouger, the head of the Kurdistan Islamic Union bloc, continues to speak about the central bank’s file. "The subcommittees will at the beginning of their work collect documents and documents on all investigation files to reach real tangible results of the loss and drowning of money, corruption in the currency auction, For the Central Bank building ". The late Iraqi architect Zaha Hadid laid out the engineering designs of the building of the new Central Bank of Iraq located in the area of ​​Gardaya overlooking the Tigris River, which consists of (34) floors in addition to two floors underground. "There are documents owned by some deputies will be obtained by the three sub-committees have to do with the investigations that will be conducted with the management of the Central Bank," he said, stressing that "each of these three files has its own privacy." After the talk in the parliament, the Central Bank issued a clarification on the sinking of seven billion dinars (six million dollars), saying that the incident occurred in Rafidain Bank in 2013 and the subject was addressed in a timely manner in accordance with the legal formulations, expressing his deep surprise to raise this issue after five years. On the file of the building of the Central Bank, the Kurdish MP shows that "some believe that the funds allocated greatly exaggerated, although a building designed according to international accounts and controls may be one of the demands of the bank and international criticism," calling for "not to rush to take decisions against the Central Bank before Ensure the accuracy of information and data available. " But believes that "one of the most files that will be raised within the parliamentary finance committee to investigate with the Central Bank is the file auction sale of currency and the major corruption." "There are deputies who talked about the existence of large corruption operations taking place during the auction sale of currency with the involvement of banks and figures accused of money laundering," stressing that "these three committees need two weeks to complete their final investigations." Al-Madaa published a file on documents compiled by the late politician Ahmed Chalabi and later known as "Chalabi’s Files" in early November, 2015 revealed the existence of administrative and financial corruption, money laundering and smuggling of hard currency through the currency auction at the Central Bank. The Supreme Judicial Council has decided to set up a judicial investigation body in 2015 to consider the documents, but has not announced the results of its investigations so far. A member of the Finance Committee that "among the things we will discuss in the investigation of the amounts allocated to the building of the Central Bank is the conditions and controls of the bank and international criticism," and wondered "Are the funds of this project dedicated to the borrowing process of the IMF and the World Bank? "We are looking for answers to these questions from officials at the Federal Reserve Bank to inform us of all these details before writing the final report," said a member of the parliamentary finance committee, adding that his committee "does not know the details of the new central bank building." The bloc has been threatened in the House of Representatives earlier to dismiss the central bank governor Ali al-Alaq from office and to refer him to the judiciary unless he provides convincing answers on the health of sinking and the destruction of seven billion dinars in 2013, considering that the discrepancy in the claims of the governor gives clear evidence of theft of these funds In an orderly manner. Another member of the parliamentary finance committee says that his committee "intends to investigate the outlets selling the auction of hard currency and sinking and wasting seven billion dinars," pointing out that "the amounts allocated to the building of the Central Bank does not take great interest in the Commission." The committee member Haneen Qaddou said in a statement to Al-Mada that "the issue concerns the need to visit the project site and see the explanation of the resident engineers and the workers in the building with the presence of some advisers to reach the cost of construction." He added that "the auction of currency is being exploited by some quarters and personalities that are smuggling capital out of Iraq," stressing "the possibility of developing mechanisms and controls capable of reducing the manipulation and smuggling that take place in the auction currency." Despite the formation of judicial committees and follow-up Commission integrity, but many of the owners of companies accused of money laundering have not been held accountable. As for the size of corruption resulting from the laundering and smuggling of funds, the deputy of the Fatah bloc that "the money smuggled out of Iraq is very large," pointing out that "the Finance Committee in the House of Representatives will investigate with officials of the Central Bank on this file and corruption operations taking place "He said. He stressed that "a group of members of the Parliamentary Finance Committee are determined to continue their work in detecting corruption in many departments and institutions of the Iraqi state," pointing out that the Committee "rejects dictates from any party or party aims to compliment a person or a party at the expense of transparency." The scourge of corruption after 2003 hit many departments and institutions of the Iraqi state, causing the waste and loss of more than 800 billion dollars, according to specialists in the economic sector. "The subject of questioning the governor of the Central Bank depends on the report to be prepared by the Finance Committee in the House of Representatives and then introduced in parliament," and expected that the Committee "to visit the Central Bank and its new building next week." He added that his committee "is trying to work with new mechanisms to enable them to reach corrupt in all departments and institutions through the doors of exchange," stressing that "it is necessary to activate the principle of oversight in the House of Representatives during the current session." Among the things that will be held accountable the Governor of the Central Bank is to put his name on the currency, which caused a wave of anger in many political blocs and public opinion. The Iraqi activists launched a campaign on social networking sites, to ridicule the declaration of the governor of the Iraqi Central Bank of 7 billion dinars and also put his name on the local currency, during the past weeks. On the other hand, the deputy of the alliance of Badr al-Zayadi said that "the parliamentary finance committee was authorized by the Presidency of the House of Representatives to meet with the Central Bank administration several days ago to hear from them about the funds that sank and wasted and the existing imbalance." Parliament’s moves came as the parliamentary and government committees (budget-review experts) suspended their weekly meetings on amendments to the bill until further notice of the sudden drop in oil prices. The General Secretariat of the Council of Ministers announced on October 28, 2018, the approval of the government on the draft financial budget for 2019, and transmitted to the House of Representatives, based on the provisions of articles (61 / item I and 80 / item II) of the Constitution. "The speaker of the House of Representatives formed a parliamentary committee in order to verify the imbalance in the work of the Central Bank of Iraq, including the subject of financial conversion (auction currency) and banks that deal with them. He adds that "the Finance Committee will submit its final reports soon to the Presidency of the House of Representatives to submit to the deputies to take what is necessary against the defaulters," asserting that "the sale of the currency by the central bank to specific banks." He adds that "the currency auction may be allocated to these banks for the purpose of obtaining financial interest," asserting that "the investigations to be conducted by the Finance Committee in the House of Representatives will get through to know the involved and corrupt." Posted in bank, Banking & Finance, Banknote, Central bank, Central Bank Iraq, Central Bank of Iraq, Central Bank or Iraq, Economic News, Commission, Committee, Corruption, Currency, Dinar, Dinar Daddy, Dinar Guru, Dinar Recaps, Dinar Speculator, Dinar Vets, Iraqi Political News. Iraqi Currency … Where Printed And How Much Cost? disclosure of MP Naji Radis Saidi, Sunday, the place where the printing of the Iraqi currency, pointing out that it cost 4 cents per paper. Saidi said in a statement that "the central bank had previously printed banknotes of the Iraqi currency in Switzerland, but changed the place of printing is currently printed at the British Institute in London and is supposed to be specifications prevent damage. "The cost of printing one banknote is between 4 and 5 US cents, and then the currency is transferred to Iraq," he said. adding that the bank will not spend considerable liquidity to print the new monetary categories because they cost little. Posted in bank, Banking & Finance, Banknote, Central bank, Central Bank Iraq, Central Bank of Iraq, Central Bank or Iraq, Economic News, Currency, Dinar, Dinar Daddy, Dinar Guru, Dinar Recaps, Dinar Speculator, Dinar Vets, Iraqi Economic News.